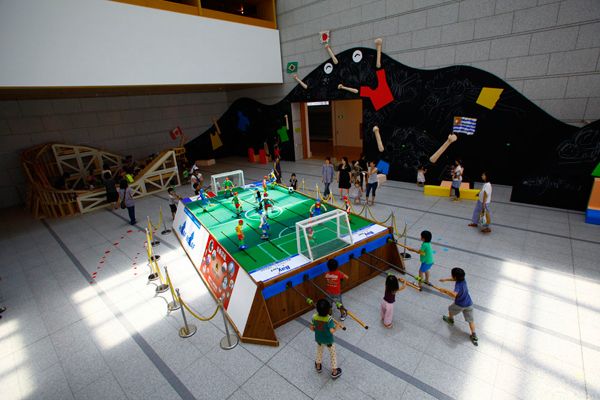 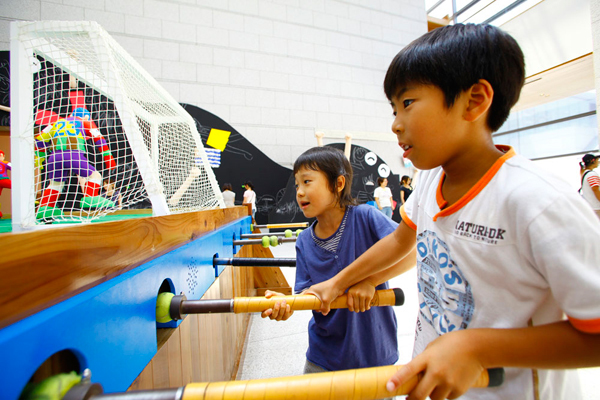 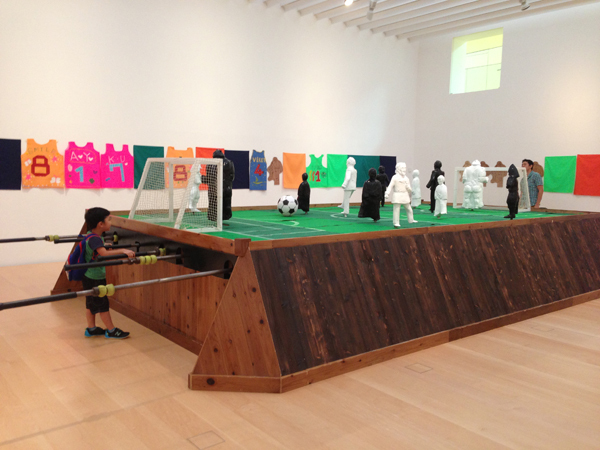 An enormous soccer board game made and can be described as a table soccer game on a grand scale. 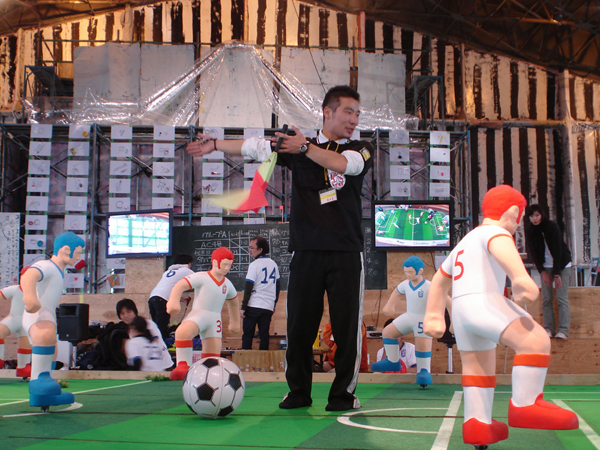 Participants play by manipulating dolls that are half the size of humans. 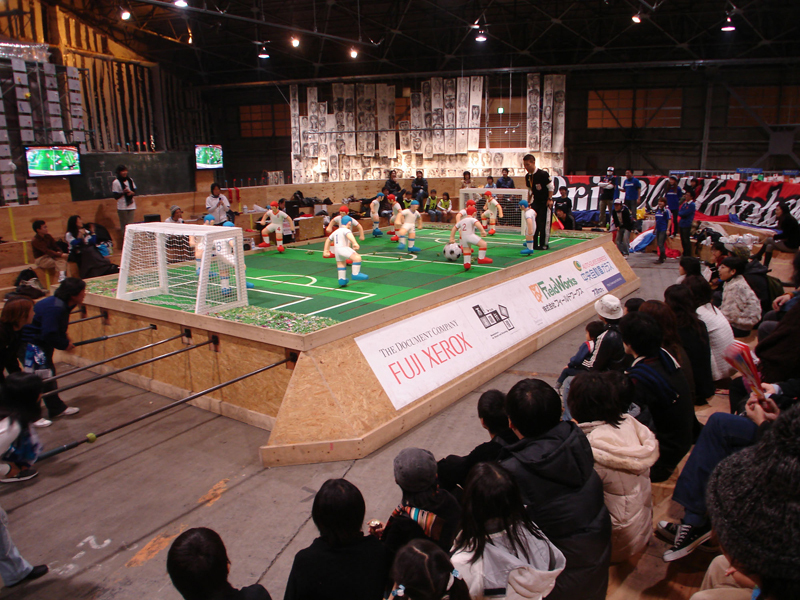 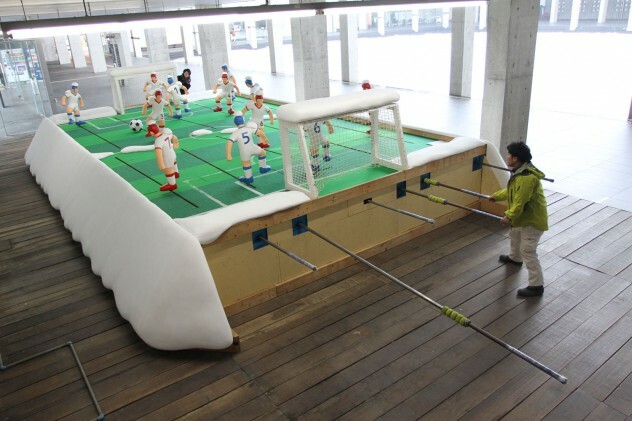 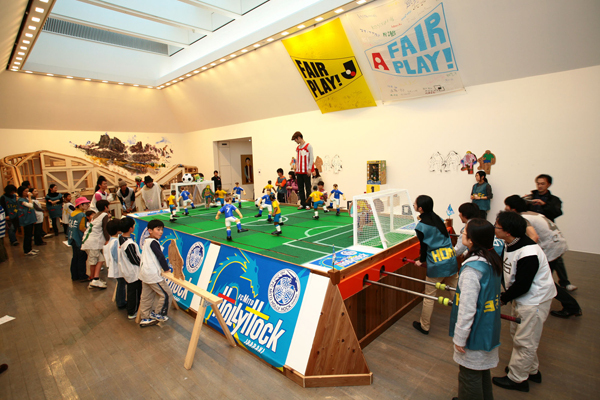 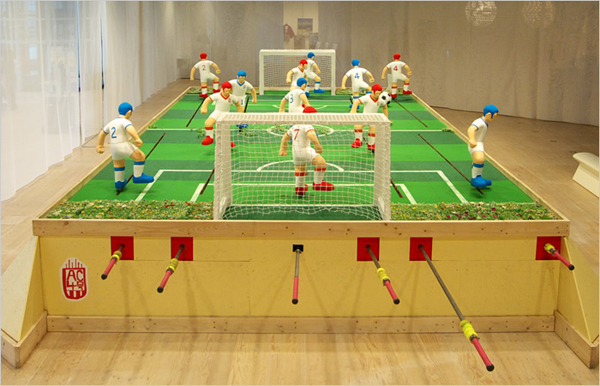 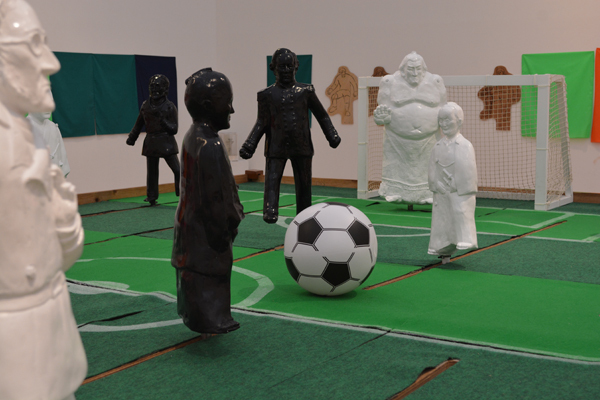 Unlike conventional table soccer games where the participants look down onto the soccer ground as they manually operate the soccer players, in this work, the participants have to use their entire bodies to play the game and as a result are able to physically experience the difference in scale between the movement as concept and the actual physical movement. 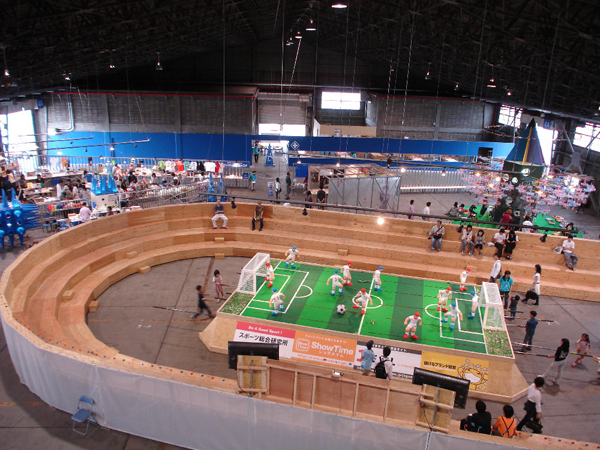 AC-No.4 DX from KOSUGE1-16 on Vimeo.